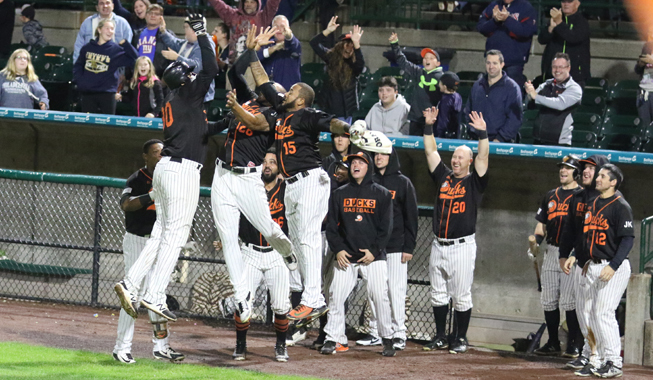 The Ducks have reached the Atlantic League Championship Series for the third straight season, and for the second time in those three years, they will play the Sugar Land Skeeters. Long Island won the 2018 season series against the Skeeters by a margin of 10-8, winning five of nine games at home and in Texas. The Ducks won seven of nine second half games against Sugar Land, including a 4-2 series win to close out the 2018 season. Long Island is coming off a five-game LDCS victory over the Somerset Patriots, while the Skeeters took game five of the FDCS against the Lancaster Barnstormers. A back-and-forth series between the Ducks and Patriots ended in a very fitting way, with the Ducks taking the final game by a score of 3-2 in extra innings. Neither starter factored into the decision. 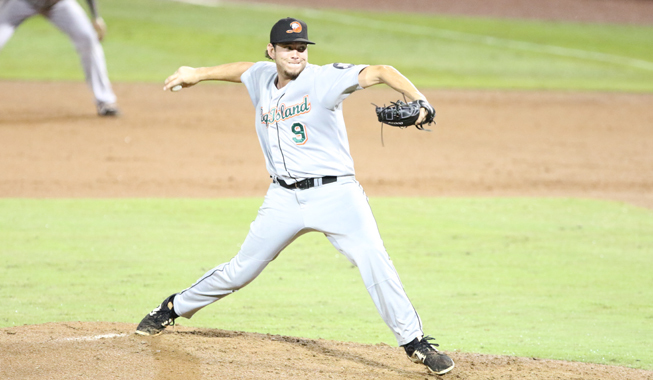 O’Grady lasted five innings, allowing two runs on six hits and two walks. Blevins pitched six innings of two-run ball, yielding seven hits and two walks while striking out six. Rodriguez picked up the win after a scoreless ninth inning, working around a hit and an intentional walk. Kensing took the loss, conceding the winning run on three hits in the 10th. Jake Fisher will kick things off in Game One for the Ducks. The 2018 Atlantic League All-Star was 8-7 this season with a 3.91 ERA and has won three straight starts, giving up three earned runs in 22 innings in that stretch. The lefty was the Game Two starter in the LDCS, going seven innings and allowing one run on four hits in an 11-1 victory over the Patriots. The Oklahoma native has been great against the Skeeters this season, owning a 3-1 record and 0.67 ERA in four starts (22 innings) against Sugar Land. James Russell will man the rubber for the Skeeters in a lefty-lefty matchup. The seven-year major league veteran is 8-4 with a 2.36 ERA since joining Sugar Land in late May, making 20 appearances (18 starts). The southpaw made two appearances against the Flock this season, throwing five scoreless innings and giving up three hits through two appearances (one start). Russell has played with the Chicago Cubs, Atlanta Braves, and Philadelphia Phillies, making 394 MLB appearances to the tune of a 4.09 ERA from 2010 to 2015. TOP 1: What a start! The Ducks send eight men to the plate, and a three-run home run by Lew Ford gives Long Island an early 3-0 lead! BOT 1: Jake Fisher gets Tony Thomas to fly out to center field, stranding a pair of runners on base! BOT 3: Fisher strikes out a pair and has tossed three scoreless innings thus far! Still a 3-0 ballgame after three innings of play. BOT 5: Sugar Land gets on the scoreboard with an RBI single by Anthony Giansanti and a sac fly to center by Juan Silverio. Long Island’s lead is now 3-2. BOT 7: Another quality start tonight from Fisher! 6.2 IP, 4 H, 2 R, 2 ER, 4 BB, 4 K! He departs with two outs and the bases empty in the seventh. BOT 8: Two-out RBI hits from Tony Thomas and Derek Norris have tied the ballgame up at four. END 9: Carlos Pimentel retires the side in order, and we’ll need bonus baseball to decide the winner of Game One! Onto the 10th we go, tied at four. END 11: Ashur Tolliver induces a groundout from pinch hitter Javier Betancourt, stranding the winning run at third base! Onto the 12th inning we go. BOT 12: Hector Silvestre works around a pair of walks, inducing a double play off the bat of Albert Cordero! We head to the 13th inning tied at four. FINAL: Two singles, an intentional walk and a sac fly to center by Javier Betancourt ends the ballgame. Sugar Land takes Game One 5-4 in 13 innings.